1. Real purple-clay or xisha clay actually have various colors, they are dull and not bright at all. 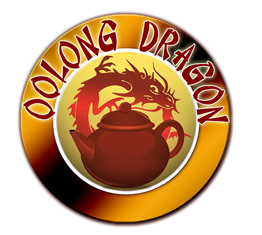 If the Yixing teapot you have is brightly colored or glaring, then it may not be real purple clay. Even those that have been used for a while will never develop a glare or bright color. 2. New Yixing teapots usually smell like earth or dust and should emit an odor of burnt clay. That is its natural smell. Only after it has been used for a while will it take on the smell of tea. If you purchase a Yixing teapot and it smells of chemicals or something other than the above, it is most likely not a real Yixing teapot. 3. An authentic Yixing teapot would give a heavy, clear sound with grainy friction. 4. Its surface is never smooth. Rather, the texture should be grainy. If it feels like it was waxed or if it isn’t sandy in texture, it is most likely not made of Zisha clay. 5. If one pours very hot water into a Yixing teapot, it would emit sounds similar to that of cracking clay. The unique features of a purple clay teapot enables it to form a water film when you use water to wash it. A non-authentic Yixing teapot will have droplets of water running down its side when you use water to wash it out. 6. An authentic Yixing teapot would never add colour when you put boiled water in it as it was never treated with any dye or chemical. 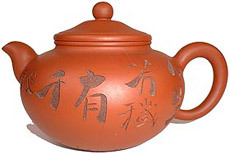 The above attributes of a Yixing teapot would help reduce the likelihood of purchasing a fake one by just testing it against at least two of the above listed qualities.